I did a little Christmas shopping at this year’s Holiday Collectibles Show in Austin, Texas. What a wonderfully unique selection of products! My favorite booth was the Kandle Kidswear — a company started by Kim and Laura, two super creative stay-at-home moms in Austin. 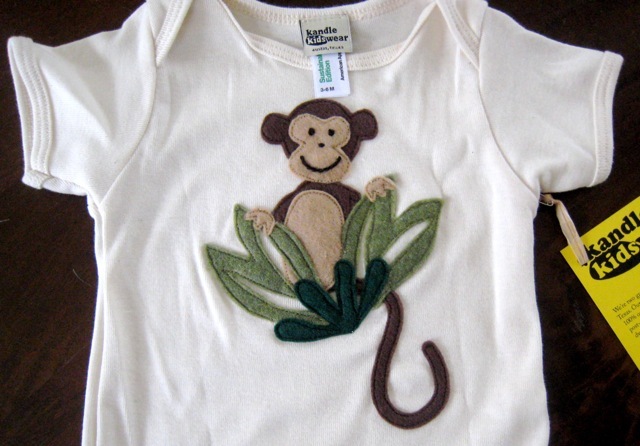 They make and sell organic cotton onesies and children’s t-shirts with adorable felt designs. There are tons of other designs: from dinosaurs and armadillos, to flowers and butterflies. Interested in buying one? Contact Kim or Laura through their website, or find them on Facebook. 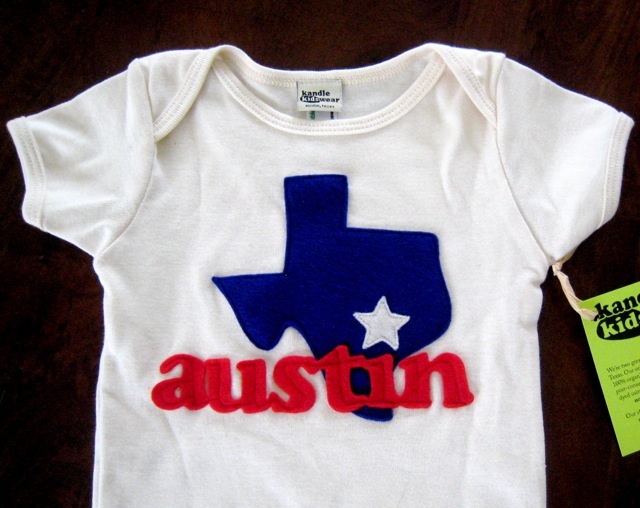 You can also purchase Kandle Kidswear products at several retail outlets in Austin. Expect to pay around $29 plus tax for each item … which is a little pricey, but for something so adorable, green, and local, it’s totally worth it. Such a pleasure meeting you, Marie! Thanks for the shout-out! Likewise Laura! Let’s stay in touch!